On 1st December 1919 Lady Nancy Astor took her seat in the United Kingdom House of Commons, thus becoming the first woman Member of Parliament to do so. Commons, because Constance Markievicz had been elected the previous year but, as an imprisoned member of the Irish nationalist party Sinn Fein, had not taken her seat. Women had become eligible to vote, and stand for Parliament, as a result of the 1918 Reform Act (if they were aged 30 or more – 21-year-old women only gained voting rights in 1928). A long campaign had been fought before the 1914-18 war under the slogan “Votes for Women” and there had been staunch opposition to the move, especially from British Conservatives. There were therefore several ironic aspects to Lady Astor’s election. For one thing she was only British by marriage, being of American birth. Her husband was the immensely wealthy Waldorf Astor who was also American by birth but British by virtue of being the son of William Waldorf Astor who became a naturalised Briton in 1899. Secondly, Nancy Astor had played no part in the Suffragette movement that had worked tirelessly for the right of women to vote. She simply took advantage of the right that other women had won. Thirdly, she was a wealthy Conservative, and it was people of her class and political leaning who had been most opposed to female suffrage. 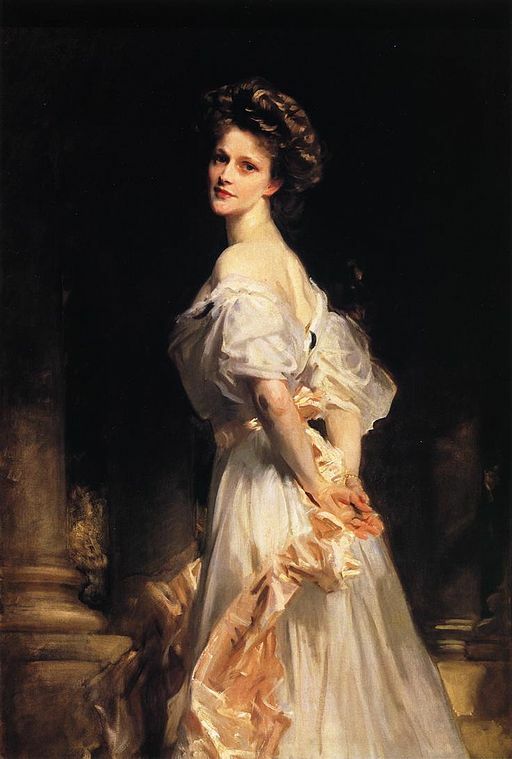 Indeed, it is unlikely that Nancy Astor would ever have considered a career in Parliament had it not been for the fact that William Waldorf Astor, her father-in-law, died in October 1919. He had been ennobled as the 1st Viscount Astor in June 1917 (as a result of his generosity to various relief funds during World War I). His son Waldorf therefore inherited the title and became the 2nd Viscount. He had been a member of the House of Commons (for constituencies in Plymouth) since 1910 but had no choice but to accept his seat in the House of Lords which meant that he had to give up his Commons seat. In the by-election that followed, Nancy decided to try her luck and keep the seat in the family. Despite having no political experience, and with the huge disadvantage of having to persuade many male voters to support a woman, she won the seat and continued to do so in succeeding elections until her retirement in 1945. Although Nancy Astor was never given a job in government she did prove to be an effective and vocal Member of Parliament, especially on her favourite topics of women’s rights and restricting young people’s access to alcohol. However, she also became something of an embarrassment to fellow Conservatives during the years leading up to World War II with her expression of pro-Nazi and anti-Semitic views. Her home, Cliveden near Taplow, Buckinghamshire, became the centre of the “Cliveden set”, a group of aristocratic right-wingers who sympathised with many aspects of Fascism and wished to reach an accommodation with Hitler’s Germany. Churchill: “Madam, if I were your husband I’d drink it”.